We are running a campaign for 72 hours only: get 20% reward points on almost everything you buy! Please check the [ Campaign Page ]. The campaign page is compatible with smartphones as well! 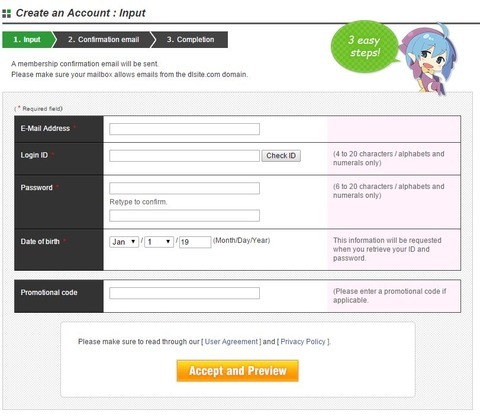 You can now use PayPal to purchase items and points on the mobile version of DLsite.com English! Please note that this option is not available for products intended for adults. It is now easier to creating a DLsite.com member account! Only members can enjoy exclusive benefits and privileges, such as unlimited download access and member points that can be used to purchase more items. If you have not yet joined our membership program, create an account for free now! Visit [ DLsite.com ] to create an account.